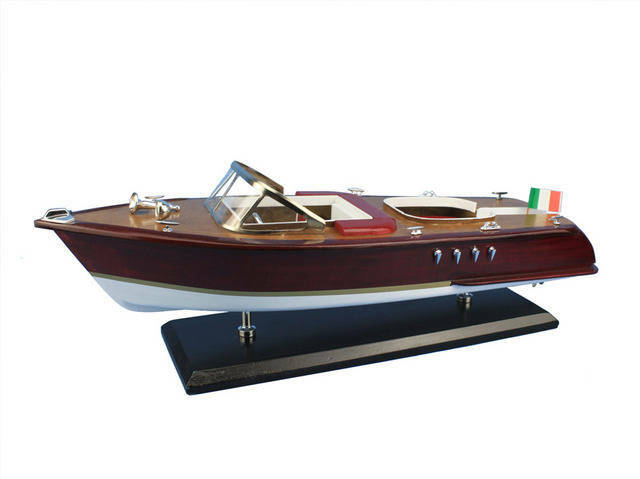 Wooden Riva Aquarama Model Speed Boat 20"
Feel as if you’re speeding across the water with the wind in your hair with this powerboat model of a classic mahogany hulled Riva Aquarama speedboat. Exquisitely crafted with precision detailing, this model speedboat of the iconic wooden-hulled Riva Aquarama powerboat will take you back to the luxurious pleasures of lazy days upon the river or perhaps waterskiing as you race across the lake. The name Riva is synonymous with class, quality and the highest of European standards. Introduced in 1963, the Riva Aquarama is the last of the traditional Italian mahogany runabouts. It is an object of desire and an expression of dreams. Nothing came near to matching the superb quality, style and prestige of the Riva. 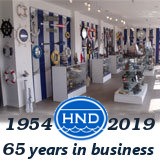 Always innovating, always ahead of its time, and always exhibiting a style and quality beyond comparison, Riva triumphs at all the boat shows and on all the markets in the world. Kings and emperors, princes and sultans, actors, sportsmen and celebrities headed straight to Riva to choose their boats in the same way as they went to Rolls-Royce or Ferrari for their cars.